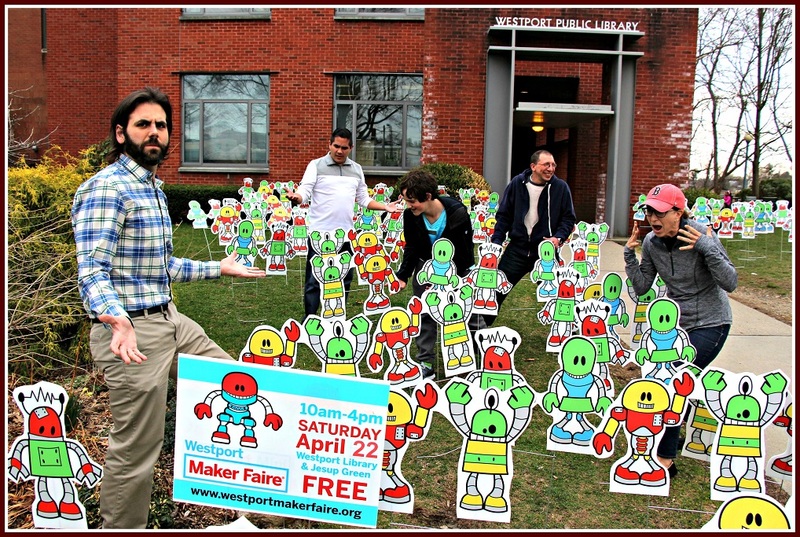 When the 7th annual Maker Faire takes over Westport this Saturday (April 21), there will be something for everyone. A record 12,000+ attendees — tech lovers, crafters, educators, tinkerers, hobbyists, engineers, science geeks, artists, authors, students and exhibitors — will share what they’ve made, see what others have created, teach, learn, be inspired, and inspire others. And have tons of fun. It’s a massive undertaking. Planning began the moment last year’s Maker Faire — which drew “only” 10,500 people — ended. Hundreds of volunteers make it happen. But none of it would be possible without Mark Mathias. Westport’s event– part of a worldwide movement (and of all 772 Maker Faires in 44 countries, among the top 5% in attendance) — was his brainchild. In September 2011, his kids were fascinated by the New York Maker Faire. The “mini” is long gone. Now — with activities spread across the Library, Jesup Green, Taylor parking lot, Bedford Square, Town Hall and Veterans Green — it’s as maxi as it gets. But the Maker Faire is not Mathias’ only local contribution. 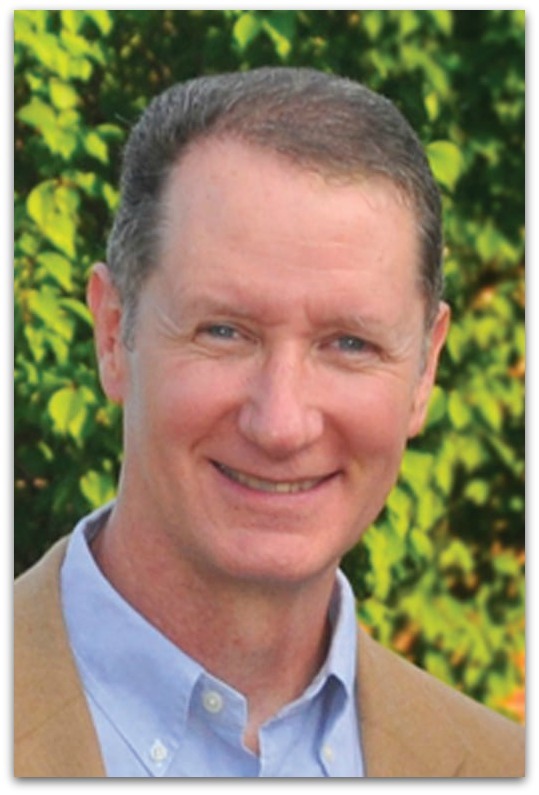 He’s in his 15th year on the Board of Education; is an active member of Saugatuck Congregational Church (with a particular interest in their mission trips), and when his daughter Nicole was at Staples High School, he was an avid supporter of the music department. Mathias — whose professional background is in IT — is president of Remarkable Steam. The non-profit promotes innovation and creativity in the areas of STEAM (Science, Technology, Engineering, Arts and Math). This is Mark Mathias’ busiest time of year. Hopefully, he’ll take a few moments out of his hectic day to accept our thanks, as this week’s Unsung Hero. Robots galore at last year’s Maker Faire. This entry was posted in Education, Library, religion, Staples HS, technology, Unsung Heroes and tagged Mark Mathias, Westport Maker Faire. Bookmark the permalink. I know Jonathan Mathias and we have not been able to find a genealogical connection, but it’s nice to have another Mathias in town. Grateful for Mark & Kim both selfless, compassionate and devoted to children young and old. Mark is an excellent choice as an Unsung Hero. He has been extremely generous in contributing countless hours of quality time to our community. Very well-deserved recognition for Mark! He and Kim have also been involved with A Better Chance of Westport for many years, as host family (more like actual family) for two scholars and overall supporters of ABC’s mission. And Mark has done creative workshops for the students at the Westport Minds in Motion event for several years as well. And I’m sure lots more besides! So well deserved! Mark is involved with this and school and many charitable social organizations! Hats off for great work!